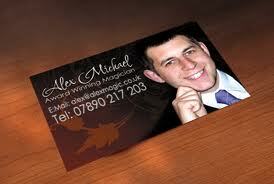 Alex Michael is an award winning magician in Nottingham. His craft has taken him all over the UK performing for adults and children alike, at weddings, corporate events and even childrens birthday parties. His magic is up to date modern magic to the highest standard which is why Alex has won many awards and is booked up months and years in advance. For more information about Alex performing is magic for either adults or children please look at his site and to see him in action please have a look at the videos below. The reactions on these videos are exactly what happens at every event that Alex performs at which is one of the reasons why he is one of the most in demand magician in Nottingham. Alex offers various packages and prices and Alex is very flexible with the type of performance he delivers. Be it mix and mingle at tables, while people are standing, or even a show in front of everyone. Please fill out the contact form or e-mail Alex directly (alex@alexmagic.co.uk) with your full details and he will send you over full information, prices and answer any questions. If you are looking for a magician in Nottingham you really should look no further as there is not a better one out there. Please click the link below to find out exactly why. Alex is fully insured, CRB checked and offers great value for money as well as stress free communication. Alex Michael is also on Facebook and twitter. If you follow him you will get updates and announcements of any forthcoming public performances in and around your area.